Welcome to SafetyLiftinGear's block and tackle department. We sell a range of heavy-duty chain block products for industrial usage, and while they can, in some cases, lift loads of 5 tonnes or more, the blocks themselves are lightweight, compact, and easy to transport. Each of the chain blocks in our block and tackle department has its own maximum weight capacity. Please be sure to check the capacity of your product before completing your purchase, and ensure that it is suitable for the loads you are planning to lift. Our chain blocks can be used to lift heavy loads quickly, easily, and - above all - safely.  All of the products on this page are taken from our own LiftinGear range, and so we are able to vouch for their superior quality and reliability. LiftinGear chain blocks are fully tested and certified before sale, and most of our block and tackle products come with an impressive 2-year warranty as standard, giving you the peace of mind that inferior lifting products cannot provide. For those of you who require a chain block for a one-off task, we offer a chain block hire service. Simply look for the 'Hire Me' button next to your chosen chain block and follow the on-screen instructions to get a quotation. Our chain block hire service will help you complete your lifting task in no time! If you cannot find the block and tackle products you are looking for, or if you'd like a quote over the phone, please call SafetyLiftinGear on 0808 123 69 69 - we will do our best to find a solution for you!